The final game of the day at the FHSAA State Championships on Thursday turned into a game for the ages. The game, which began on Thursday, and ended early Friday morning, saw two teams with a storied past, battle it out for nine innings. 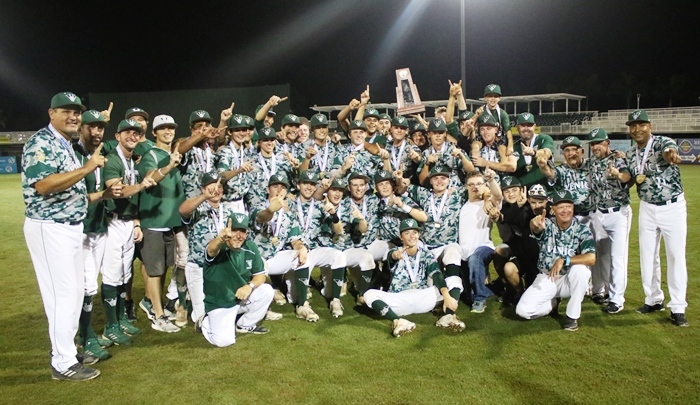 In the end, Venice scored two runs in the ninth to capture another in a long line of state titles, 3-1 over Pace. The result, however, was in question for much of the night, as the two teams battled through inning after inning. In the bottom of the seventh, Bennett Shell singled for the Patriots. JC Preacher followed with a perfectly executed sacrifice bunt that turned into an infield single. With a decision to make, Pace Manager Jason McBride chose to sacrifice with three-hole hitter Dalton Childs. The senior could not get the bunt down, and that was followed by a double play. Most in attendance believed the slow walk to the mound was to allow his reliever to get additional warm-up pitches in the bullpen. But, what McBride was really watching was the time. With the game starting late due to weather earlier in the day, and an extra-inning game in progress, the clock struck midnight. And that is when the Pace Manager summoned Christian McCullough, who had thrown 33 pitches in the Patriots semifinal win on Wednesday. FHSAA rules state that pitchers that throw 31-45 pitches in a game must have one day of rest before being used again. With the clock striking 12, and McCullough pitching Wednesday, McBride assumed his sophomore was good to go. After the righty threw one pitch, Venice Manager Craig Faulkner immediately appealed to the umpires regarding McCullough being an illegal player since he had thrown 33 pitches the day before. The appeal then led to a 20 minute delay, in which state officials were called to the field. Eventually, a decision was made that McCullough could no longer throw in the game, but a forfeit would not be issued for using an illegal players. With the controversy behind them, the teams, who had played spectacularly throughout, went back to the business of the game on the field. AJ Martin took over on the mound for Pace, and after the 0-1 count was reset, Martine worked out of the jam. 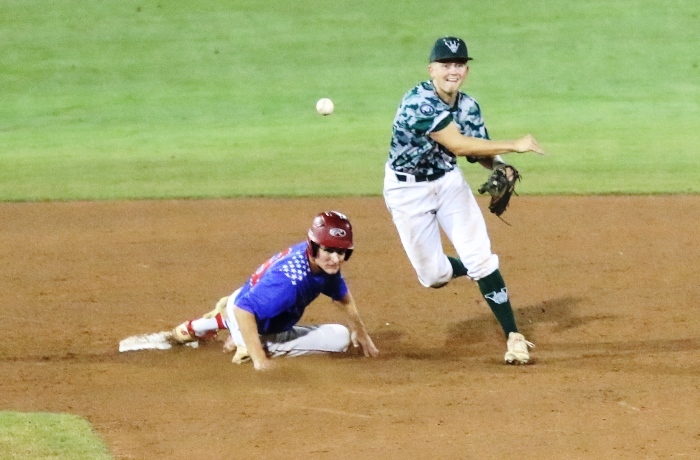 After an uneventful bottom of the eighth, Venice finally broke through in the ninth. Danny Rodriguez and Nick Riccardi both singled. With runners on second and third, two consecutive infield errors put the Indians up 3-1. 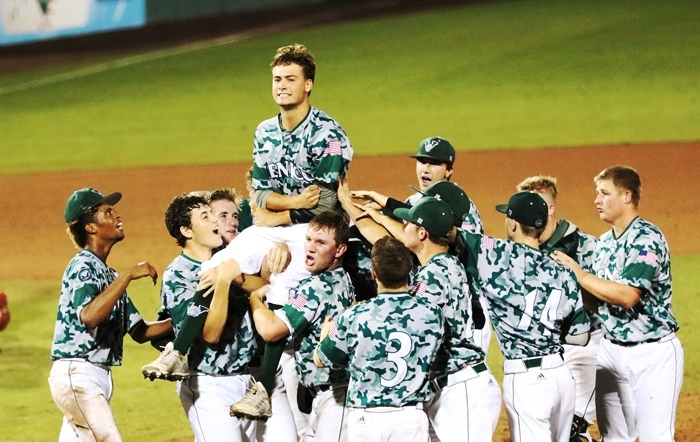 That would be more than enough for Jackowiak, who, after hitting a batter, got the last three outs of the game and sent Venice to another state title. As for the Indian fanbase, which is always one that packs the house when their team is at states, Faulkner had a message.